MIDLAND, Mich. - Last season, the Great Lakes Loons put the spotlight on some local veterans during home games by recognizing their accomplishments and thanking them for their service in protecting our country's freedom. The Loons are proud to partner with Sport Clips to once again honor local veterans throughout the 2019 season. 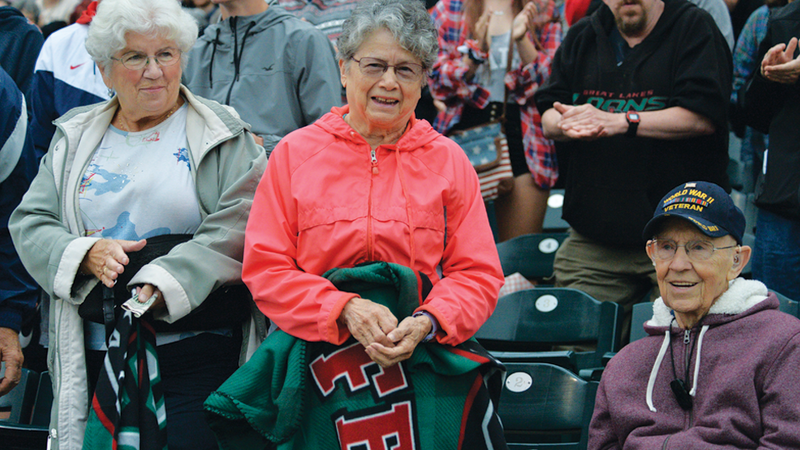 Friends and family may nominate a veteran to be recognized as the Sport Clips Veteran of the Game at a Loons game this summer. The veteran will receive four tickets to the Loons game of their choice, on-field recognition between innings, and a special offer courtesy of Sport Clips. "As long-time business owners in Midland and Mt. 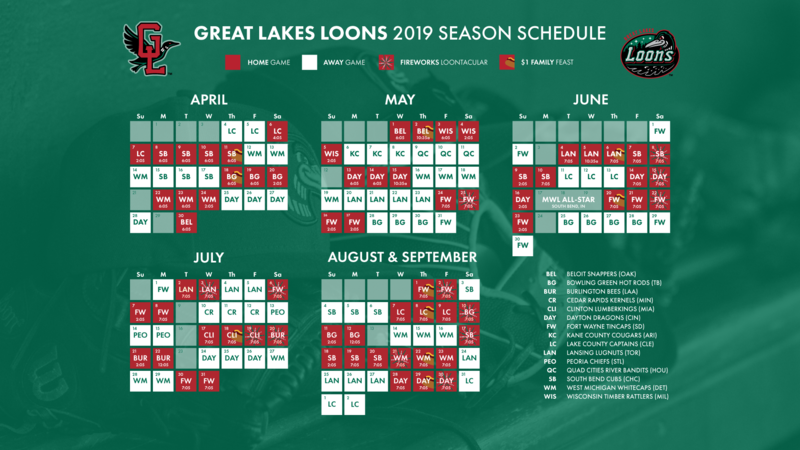 Pleasant, we are honored to have the opportunity to sponsor the Sport Clips Veteran of the Game at Great Lakes Loons games this season," said Rick Ohle, who owns the Sport Clips stores along with his wife, Nancy. "We are strong local and national supporters of veteran causes. We offer a 20% discount to all veterans and active duty military every day of the year, as well as free haircuts to veterans and active duty military on Veterans Day. Our teams are passionate supporters of the VFW's Sport Clips Help A Hero Scholarship program, as are our generous clients." In 2018, Sports Clips donated a record-breaking $1.35 million dollars to the VFW in support of the Help A Hero scholarship program. The Loons will be wearing a specialty jersey for Military Appreciation Night on July 3rd against the Lansing Lugnuts. The top will feature the names of 100 veterans, along with the recognizable stars and stripes from the American flag. 1. 5 Game Flex Pack that includes our Military Appreciation Night, Memorial Day and three other games of your choice. 2. Replica jersey featuring the name of your veteran in the jersey design. 3. On-field jersey presentation prior to July 3rd game. We encourage everyone interested to call (989-837-BALL) or email our ticket staff as soon as possible. Once the 100 packages are sold, more will not be made available. Sport Clips Haircuts is headquartered in Georgetown, Texas. It was established in 1993 and began franchising in 1995. The sports-themed haircutting franchise, which specializes in haircuts for men and boys, offers online check in for clients, and is ranked by Entrepreneur Magazine as one of the "Fastest-Growing Franchises' and #17 in its "Franchise 500." There are more than 1,800 Sport Clips stores open in the U.S. and Canada. To learn more about Sport Clips, visit sportclips.com.